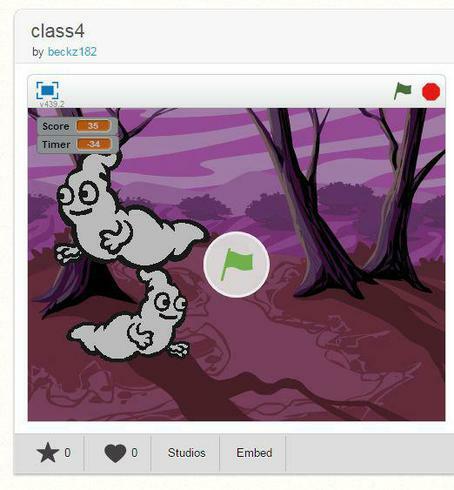 In Class 4 we have been learning how to use Scratch to create our own 'Whack A Ghost' game. You can play the game by clicking the image of the game below. We are now starting to build our own versions of the game, with different designs and different variables! Look out for these being uploaded to play.